Dr. Broady majored in Biology at Cal Poly Pomona. She earned her Bachelor of Science degree and her Doctorate of Optometry degree from the Southern California College of Optometry in 1985. Dr. Broady received her therapeutic license in 1998 allowing her to treat a variety of eye diseases such as dry eyes, and infections. Her practice is centered around family eye care, with special interest in difficult to fit contact lenses and diagnosing medical eye diseases. 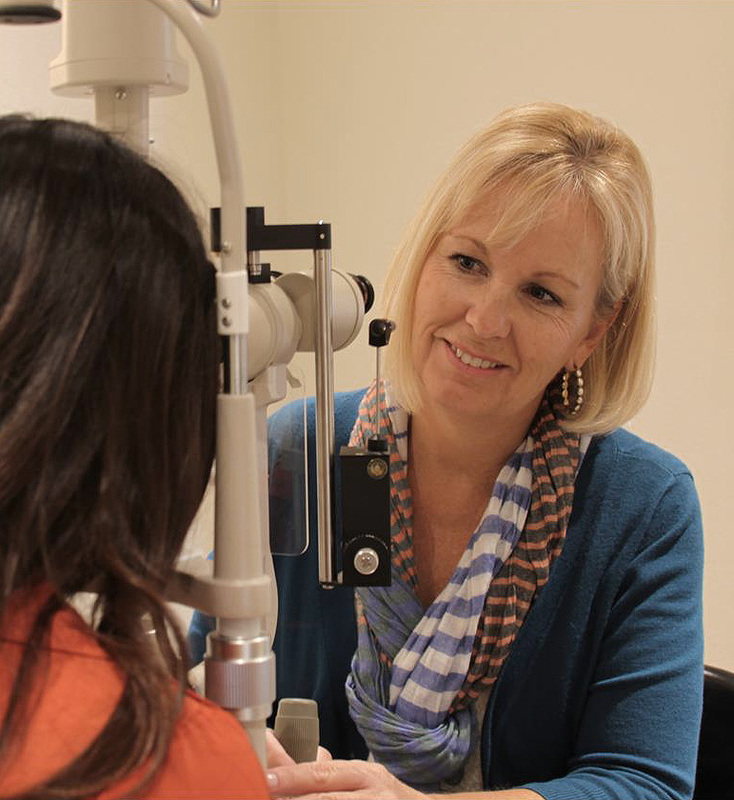 Dr. Broady loves the practice of optometry, helping her patients achieve their best vision and customizing her service to fit the individual’s visual needs. Dr. Broady is a member of the California Optometric Association and the American Optometric Association. Dr. Broady co-manages Lasik and cataract surgery with several surgeons in the area and is excited about the advancements in the technology making the procedures safer and more accurate than ever. Many patients having cataract surgery today with the multifocal intraocular lenses are very happy with their vision and no longer relying on glasses to see. With a love of technology, she has incorporated the newest advances in her exam room and is working towards becoming a paperless office. Dr. Broady offers the latest in digital designs for eyeglass lenses which enhance vision for those with moderate to high amounts of astigmatism. A Southern California native, Dr. Broady raised her family in Lake Forest. As with most families, her two children have grown up far too fast. Her son Taylor graduated from CSUF with a bachelor’s degree in business. Her daughter Jessica is now married and graduated from CSULB. With the addition of Dr. Elson in 2016, we are now able to offer new services including the management and treatment of glaucoma and the fitting of specialty contact lenses, including hybrid and scleral lenses for keratoconus and other corneal disorders. Dr. Elson is an Orange County native. After growing up in Mission Viejo, he went on to captain the lacrosse team at California State University, Chico. Four years later he graduated with honors and a degree in Kinesiology with minors in Psychology, Exercise Science, and Physical Education. He then moved back down to Southern California to attend the prestigious Southern California College of Optometry, where he received his degree as a Doctor of Optometry. During his time at Southern California College of Optometry, Dr. Elson developed a passion for diagnosing and managing diseases of the cornea and retina. This passion was deepened during his clinical rotations throughout California, including the Optometric Center of Los Angeles, the Veterans Hospital in West Los Angeles, University Eye Center, and medical eye care with Dr. William Downey in Northern California. 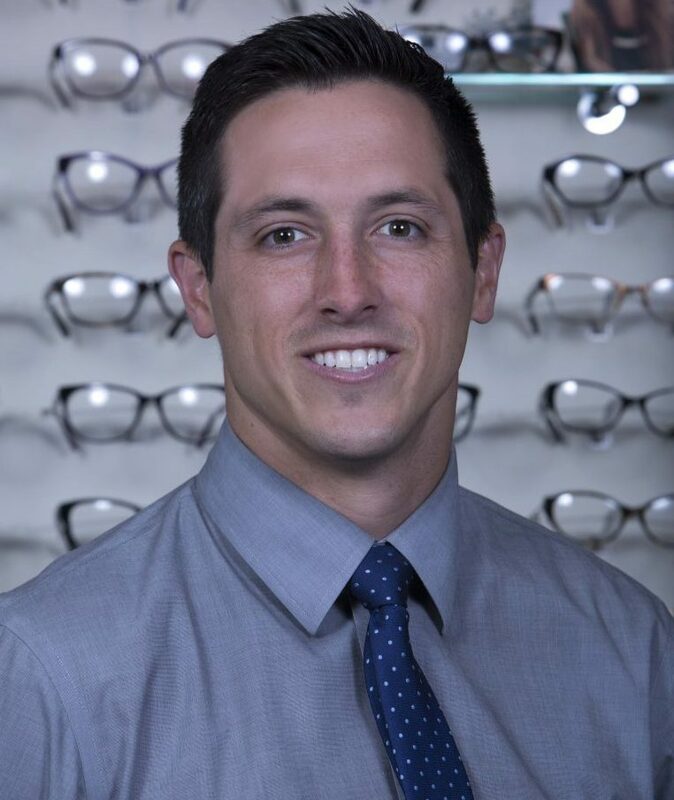 Outside the realm of academia, Dr. Elson has been extremely active with the California Optometric Association, and co-founded the California Optometric Student Section, for which he was named in the prestigious Who’s Who Among Students in American Universities and Colleges. He is currently sits as President of the Orange County Optometric Association. He also has remained active in lacrosse, playing for the Newport Beach Men’s Lacrosse Club, and acting as Defensive Coordinator for the CSU Fullerton Men’s Lacrosse team while he was attending Southern California College of Optometry. Outside of optometry and lacrosse, Dr. Elson enjoys being outdoors with his wife Taylor, and his dog Naya. His favorite things to do include hiking, camping, backpacking, and hanging in the water, whether it’s a river, lake, or ocean. Come in and see Dr. Elson to see why we are so excited to have him with us!